Transit Liberalisation Liberalisation Physical access Facilitation Transit freedom ? B/CB/C InfrastructureInfrastructure Conclusions Conclusions IssuesIssues. 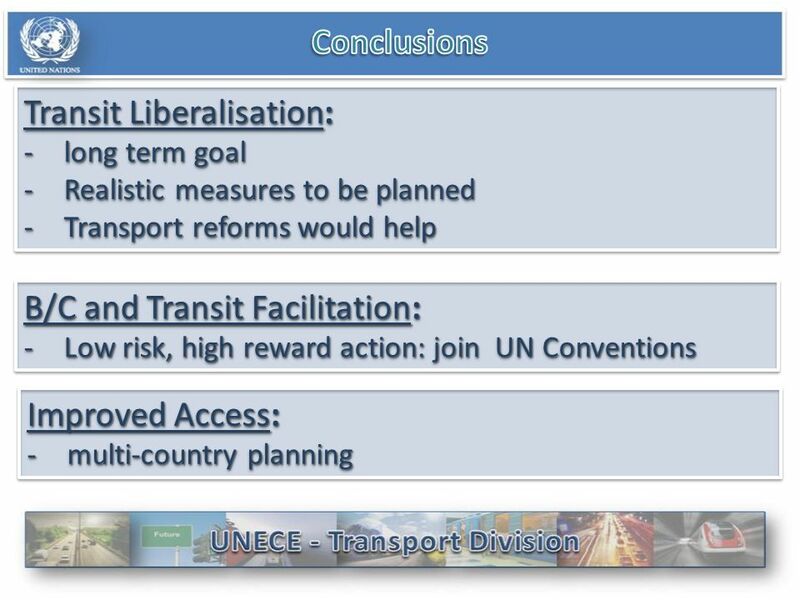 4 Transit liberalisation IssuesIssues B/CB/C InfrastructureInfrastructure ConclusionsConclusions businessbusiness ConditionsConditions B/C and transit proc. 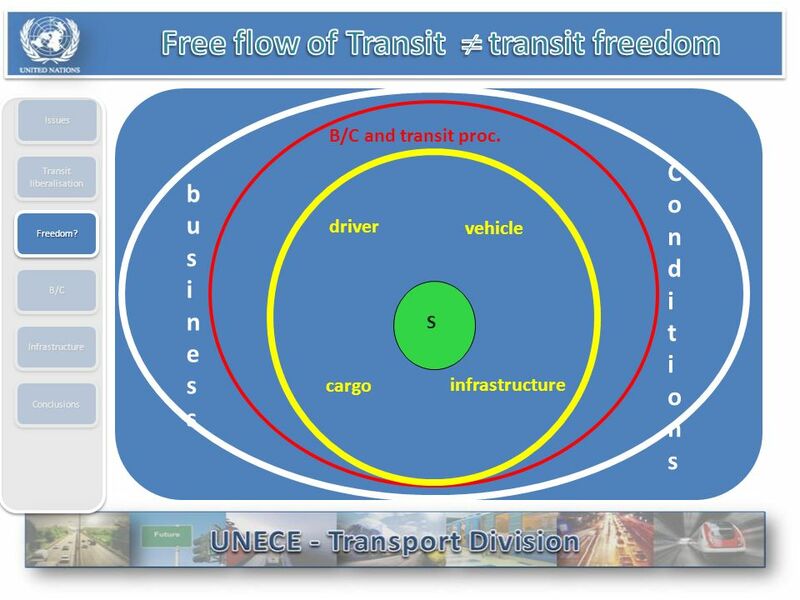 driver vehicle cargo infrastructure S Freedom? Freedom? 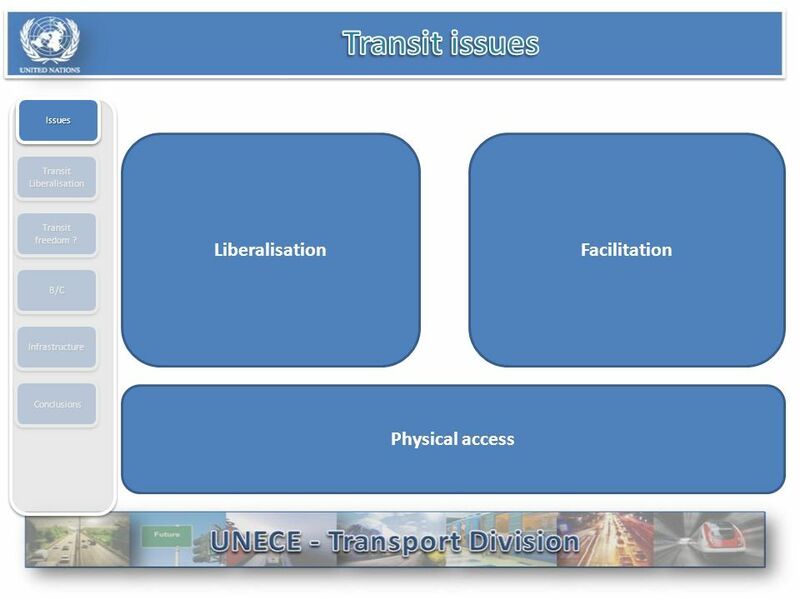 Download ppt "Transit Liberalisation Liberalisation Physical access Facilitation Transit freedom ? 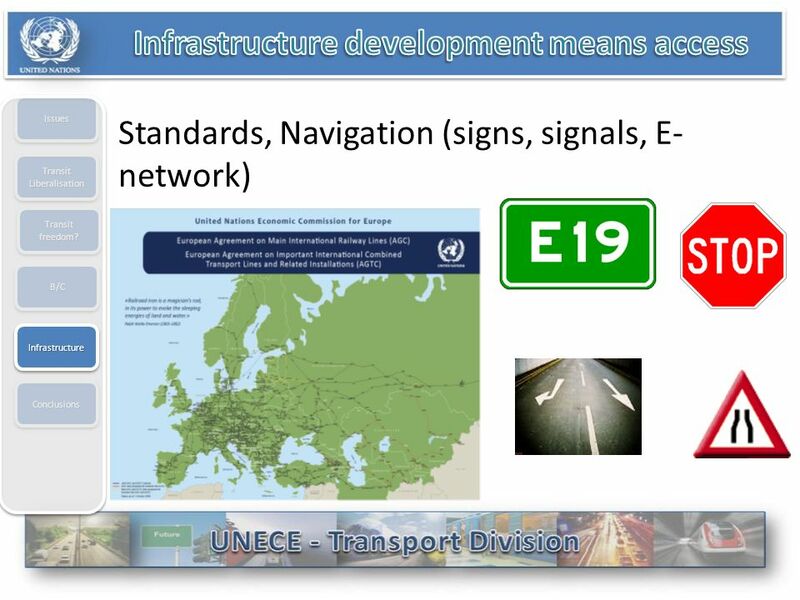 B/CB/C InfrastructureInfrastructure Conclusions Conclusions IssuesIssues." Page 1 The Second Decade of Almaty Program of Action –from landlocked to land-linked countries, economies and cultures March 20-21, 2013, New York Igor. 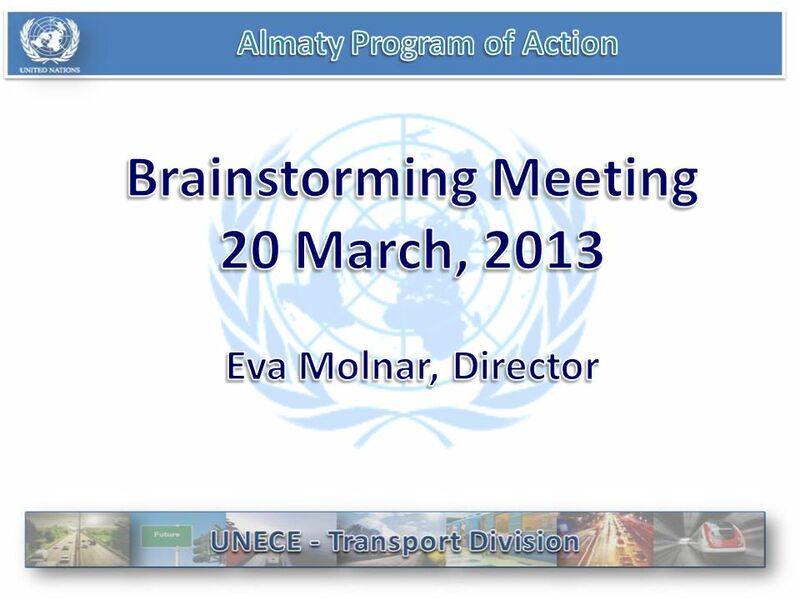 1 UNECE – Transport Division Regional Dimension of Transit Transport Cooperation Eva Molnar, Director, UNECE 3 October 2008, New York City Mid-Term Review. 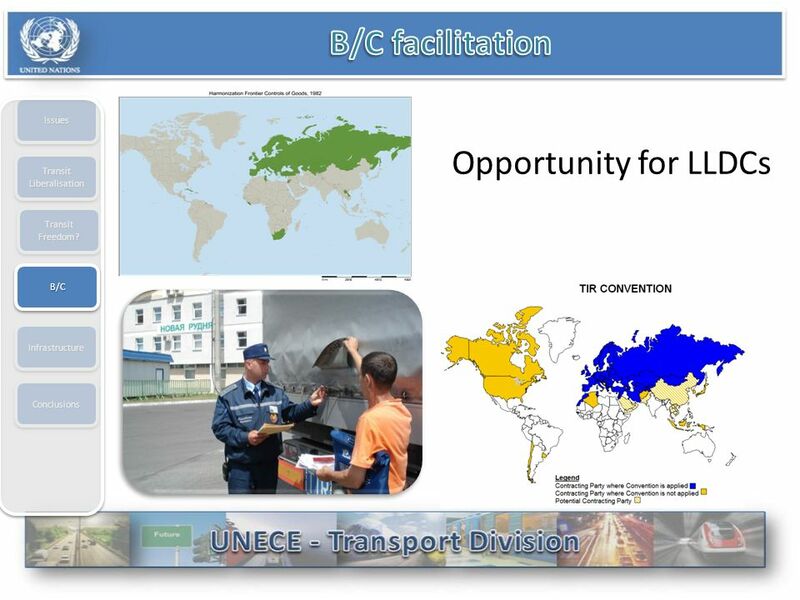 1 UNECE – Transport Division Round Table II Best Practices in the formulation of investment policies in LLDCs 1 October October 2008 Eva Molnar. AIRLINE VIEWS ON THE PROPOSED GATS TOURISM ANNEX Richard Smithies Director, Policy Analysis Government & Industry Affairs - IATA SYMPOSIUM ON TOURISM SERVICES. TEN-T Info Day for AP and MAP Calls 2012 Multi-Modality Chris North TEN-T EA Head of Unit T3 – Air and Waterborne Transport, Logistics, Innovation and. 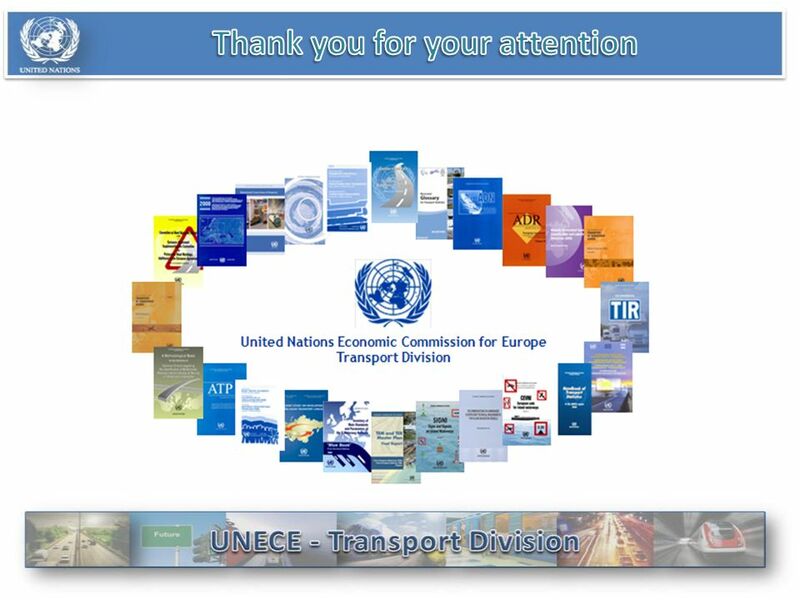 United Nations Economic Commission for Europe - Transport Division 1 UNITED NATIONS ECONOMIC COMMISSION FOR EUROPE UNECE Legal Instruments and the How. SADC Transport Services Liberalisation Forum Riverside Hotel, Durban South Africa 11 th -13 th September, 2012 Prepared by: Natasha Ward &Viola Sawere. UN-OHRLLS UNITED NATIONS SUPPORT TOWARDS THE IMPLEMENTATION OF THE ALMATY PROGRAMME OF ACTION, THE COMPREHENSIVE TEN-YEAR REVIEW AND PROSPECTS FOR A NEW. 26 May 2005UNECE Trade Facilitation in the WTO context 1 GATT Article V Broader aspects and implementation tools available Guus Jacobs Chairperson Working. Potential and prospects of strengthening transport connectivity in South and South-West Asia Nagesh Kumar. Tefan Roeanu, Market Research Analyst, Club Feroviar Foreign Investors Summit 2014 Railway business opportunities - Romania October 2014, Bucharest. USAID TRADE HUB WORKSHOP ON THE ROAD FREIGHT TRANSPORT SERVICES SECTOR IN SADC: September , 2011 Balalaika Hotel Johannesburg, South Africa Presentation. 1 Passenger Traffic Road + 67 % m/s - 7% (60%) Rail + 23% m/s - 2% (8%) Air + 133% m/s =1% (4%) Growth Total 65% ( Int 66%) GDP108% CEC 12 source. 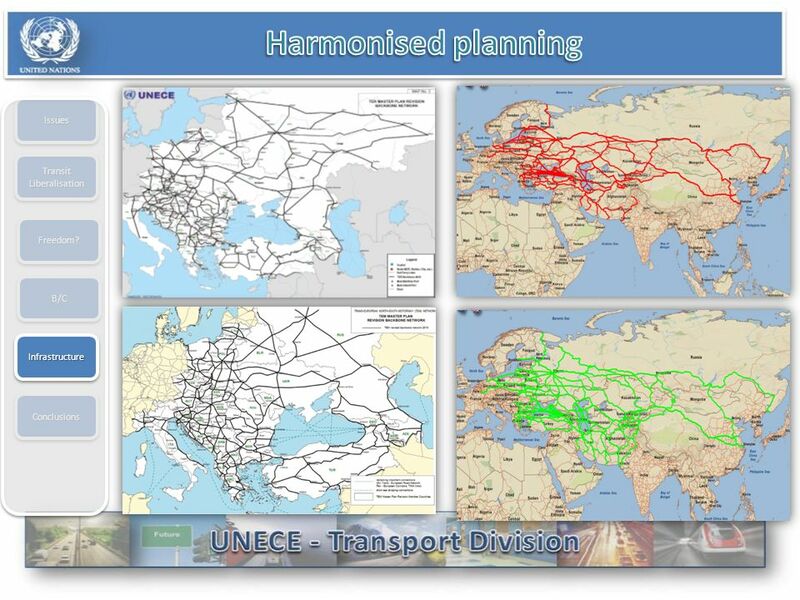 TIR DEVELOPMENTS IN THE ECO REGION NEIGHBOURHOOD Tehran, 26 October 2014 Marek Retelski Head – TIR and Trade Facilitation. UNION OF ROAD TRANSPORT ASSOCIATIONS IN THE BLACK SEA ECONOMIC COOPERATION REGION © Copyright BSEC-URTA, 2013 Since rd ECO/IRU Regional Conference. 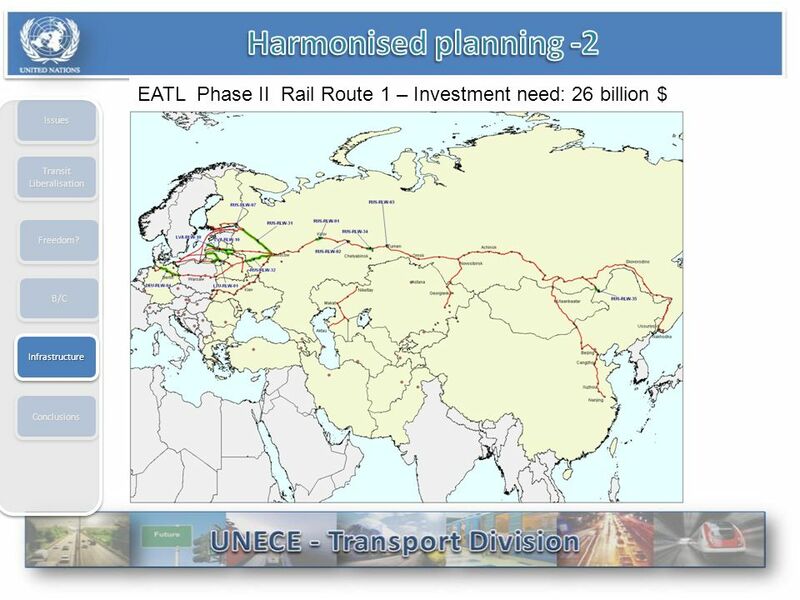 IRU Contribution to further secure and facilitate trade in the Silk Road region through TIR Batumi, Georgia, 27 October 2011. CURRENT STATUS OF TRANSPORT OF DANGEROUS GOODS IN LAS MEMBER STATES AND REGIONAL PROMOTION OF ADR AS A TRUE INTERNATIONAL AGREEMENT 3 rd IRU-LAS-AULT SEMINAR. 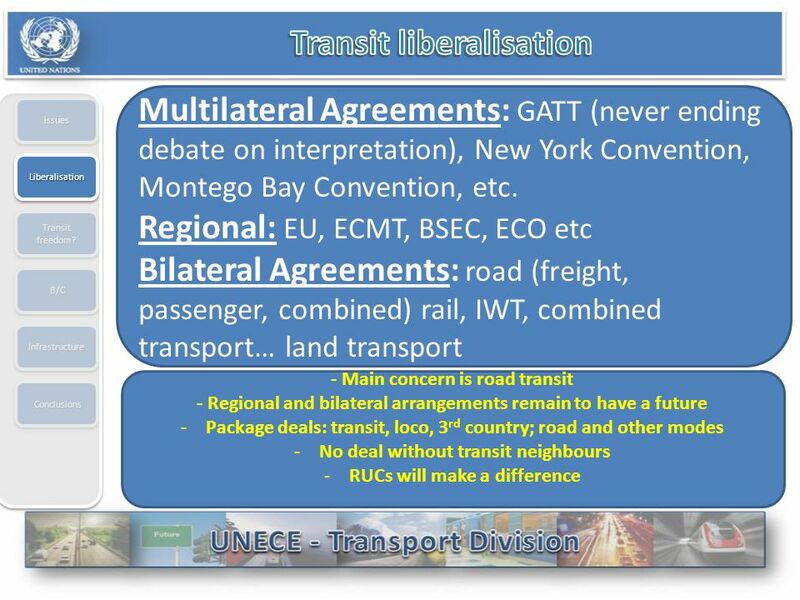 4 th IRU-LAS-AULT SEMINAR SESSION III – BALANCING SECURITY AND FACILITATION IN THE LAS REGION: CONTRIBUTION OF THE KEY UN TRADE AND ROAD TRANSPORT FACILITATION. 11-12 TH September 2012.  THE REGULATORY FRAMEWORK  THE PROTOCOLS  THE PROTOCOL ON TRANSPORT, COMMUNICATIONS AND METEOROLOGY (PTCM )  THE INTER-STATE.